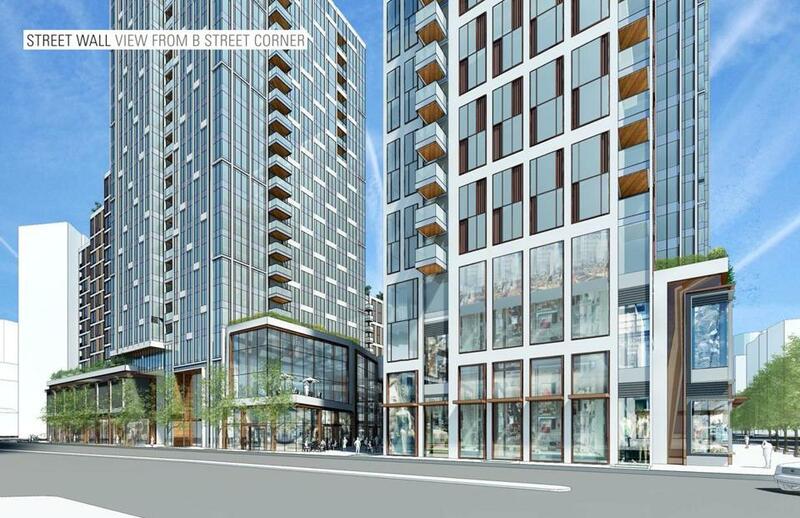 Three 22-story residential towers were approved by the Boston Civic Design Commission Tuesday. The next phase of the massive Seaport Square development in Boston’s waterfront district cleared a key city hurdle Tuesday night. 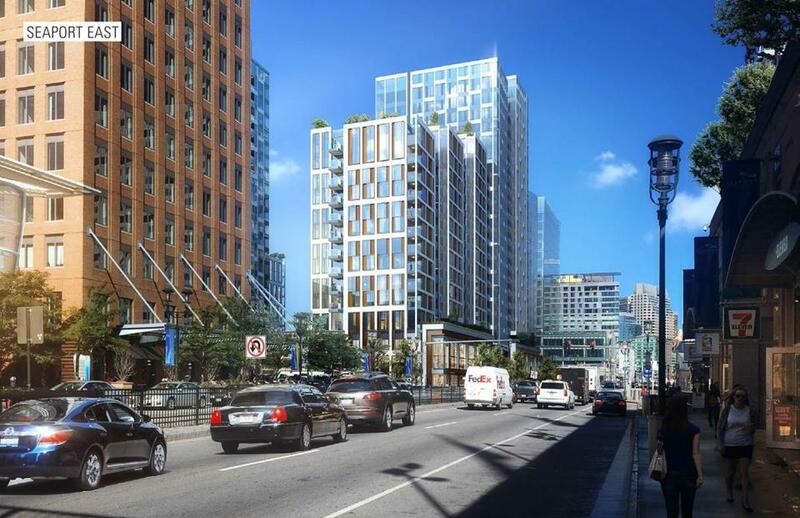 The Boston Civic Design Commission gave its approval to the plans for three 22-story condo and apartment towers and retail along Seaport Boulevard. It’s the final city approval needed for the $700 million project, said Nick Martin, a spokesman for the Boston Redevelopment Authority. Unlike many developments in the Seaport, which have been criticized for being overly boxy, these buildings are designed with staggered heights and different shapes arrayed around an elevated podium with retail on the 3.5 acre site. It would include about 1,100 condos and apartments,- with the exact mix to be determined by market conditions - and 125,000 square feet of retail space. The buildings will be built on two blocks between Seaport Boulevard and Congress Street, between B Street and East Service Road. This is the latest phase of the 22-acre Seaport Square master plan, which is being spearheaded by development firm Boston Global Investors. BGI managing partner John Hynes did not immediately respond to messages on when work on the buildings would begin. But in a recent e-mail Hynes said his group had lined up financing. “We’re funded and moving ahead as planned,” Hynes said. Earlier this year, Morgan Stanley reached agreement to sell its 95 percent stake in the project to a large foreign investor.